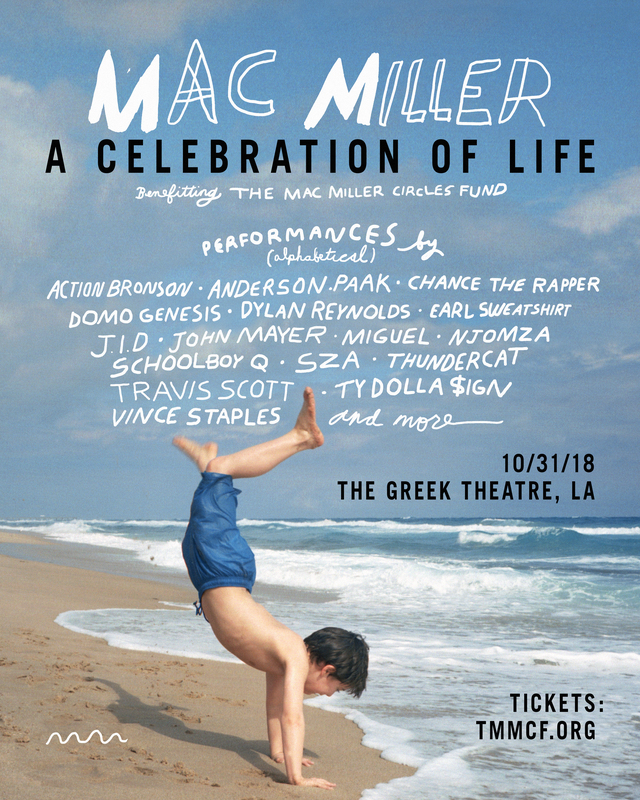 An all-star lineup of musicians will pay tribute to late rapper Mac Miller (born Malcolm McCormick) at a benefit concert set for Wednesday, Oct. 31, at the Greek Theater in Los Angeles, Calif., the McCormick family announced Tuesday. Miller was found dead on Sept. 7 after an apparent drug overdose. He was just 26 years old. 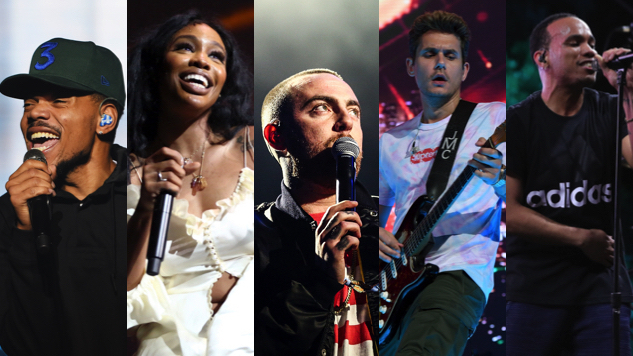 An eye-popping assortment of Miller’s friends and peers—including Chance the Rapper, SZA, John Mayer, Anderson .Paak, Miguel, Travis Scott, Action Bronson, Earl Sweatshirt, Thundercat, Vince Staples, ScHoolboy Q, Domo Genesis, Ty Dolla $ign, J.I.D, Njomza, Dylan Reynolds and more—will perform at the concert. “Mac Miller: A Celebration Of Life” also marks the launch of the Mac Miller Circles Fund (MMCF), an initiative that will honor Miller’s love of the arts by “provid[ing] programming, resources and opportunities to youth from underserved communities, helping them recognize their full potential through exploration in the arts and community building,” per a press release. Tickets for “Mac Miller: A Celebration Of Life” go on sale this Friday, Oct. 5, at 1 p.m. ET via Ticketmaster, with proceeds going directly to the MMCF. Artwork for the event was created by the late rapper’s brother, Miller McCormick—find that below.